Curious how the Soviet tech tree will look in Update 0.9.22? 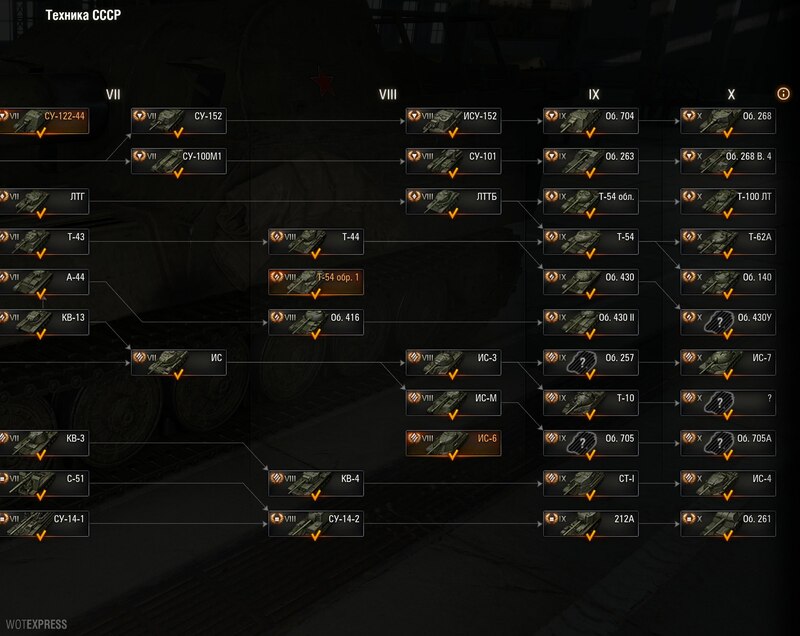 Straight out of Supertest, you can now see how the tech tree will look up, with all the new additions and replacements. Object 430 II doesn’t seem to lead to a Tier X at the moment, but Wargaming has announced that the new Tier X might only come after Update 0.9.22. There is currently a limitation of eleven lines on the tech tree module that needs to be updated. Please remember the information is subject to change at any time. I know its a Russian owned site, but do we really need all these russian tanks? There’s plenty of German ones too… One of the reasons they add Soviet tanks more is because its far easier for them to access the information on them. I still cannot figure out the causality of your sentence. What does WG’s decision to add more russian tanks have to do with this website being allegedly owned by Russians? Did the Russians buy my website? I guess he is talking about Wargaming and their Actions in World of Tanks, not your Website. WarGaming was originally a company formed in and owned by Belarussians. Belarussia is a separate country from Russia. However, WG has now moved it’s corporate ownership to Cyprus. So strictly speaking WG and all those pixel tanks (including the USSR ones you complain about) are Cypriot. does this mean that if i get the obj430, I’ll get the tier 9 version on the other tree and the new tier 10 replacement or do I only get the tier 9 obj430? If you own the Obj 430 when 9.22 goes live, you will keep it with it being a tier 9 tank and you will get the Obj 430U for free. If you own the Obj 430 II, you will keep it when it is shifted and that is it. If you have any XP on it you will keep that XP to use towards the Tier X for it’s line. I don’t know of any other rear turreted MT that WG could use after the Obj 430 II… unless they put the K91 Ver 2 heavy tank after it… or make up an Obj 430U II? Well, I’m not really sure the 777 would be a correct upgrade from the tier 10. Although it has better power to weight ratio, the ground resistances are much worse and the gun handling is worse than the T-10 it seems. Armor wise it’s gonna be a really awesome sidescraper which the T-10 is definetely not. content creators know just as much as normal people. If they did Circon and QB would know everything. How much xp requirement are we looking at for the new Russian heavies? I wondr, if I start grinding xp at T-10, will they stay on T-10 or will they be moved to the new tier IX? If you own the T10 before 9.22 drops, you will get the 257 for free and keep the T10 (unless they pull the T10 to bring it back at a later time with the Tier X that will follow it). then why are you here dude? Will you get the new T-10 “replacement” for free or will you have to grind it from the is-3? I’m not sure, last time we had something similar, you would the one you already have, and the new one would be unlocked, but you would have to buy it. And thus, the KV-13 STILL remains irrelevant….. I started grinding xp on the T-10 too. The xp gained on this will remain on T-10. Same thing happened when the changes in the german heavies took place. People who had xp on VK 45.02B remained there and continued grinding for the Pz7. I thought IS-8 might make an appearance, but maybe it is too weak to be a tier 10. Obj.777 sounds ok and it is already in there. IS-8 and T-10 are the exact same tank. They missed an opportunity here to make the KV 13 relevant. They could easily have made the new T10 line lead off of the KV 13 with the IS8 (Which is a T10 prototype) at tier 8. But hey, they can always change the line in the future. Also, the KV 13 would be so much better if it got to use the KV 85’s 100 millimeter gun. What will happen to the SU-122-54?